All Ph.D. students studying in ISyE receive either assistantship funding from Georgia Tech or are supported by external fellowships. External fellowships for U.S. students are available from various federal agencies, including the National Science Foundation, the Department of Defense, the Department of Energy, the Department of Transportation, etc. Students receiving assistantship funding from Georgia Tech are employed in one of two roles: as a Graduate Teaching Assistant (GTA) or as a Graduate Research Assistant (GRA). 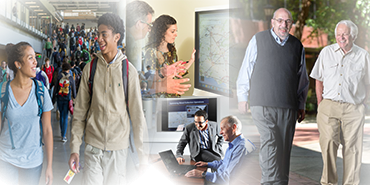 GTA funds are provided by the ISyE Academic Programs Office, and GRA funds are provided by individual faculty research advisors. Admissions letters provide the terms of assistantship funding, and usually commit funding to students for a time period sufficient to earn the Ph.D. degree (4 years). The standard assistantship is a 40%-time appointment that includes a stipend and a waiver of tuition, and requires 16 hours per week of work. ISyE sets a base monthly stipend for appointments. Research assistantships or combined research and teaching assistantships can also be offered to students at higher effort levels (up to 50%-time, or 20 hours per week) which carry a larger stipend. 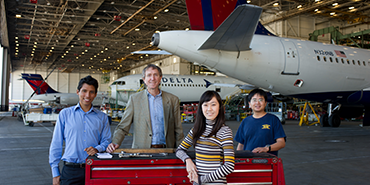 Georgia Tech and ISyE also offer additional fellowships to the most qualified applicants into our programs. 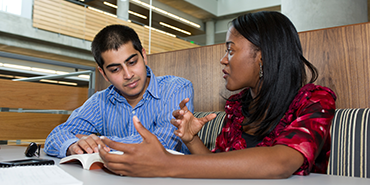 These "topper" fellowships provide additional support above the assistantship stipend. Georgia Tech offers both the President's Fellowship ($5,500 per year) and the Institute Fellowship ($11,000 per year) to exceptional applicants who are U.S. citizens or permanent residents. 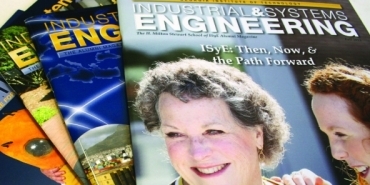 ISyE offers a number of additional topper fellowships funded from endowment provided by its generous alumni and corporate partners. Please note that not all admitted students will receive topper fellowship support.